CARE began in 1945 as an American organization delivering CARE Packages to war-torn Europe. Today, we are a global organization delivering lasting solutions to poverty by empowering women and girls. Want to get involved? Join over 200,000 advocates across the U.S. in the CARE Action Network (CAN) and communicate with your legislators about issues critical to the fight against global poverty, learn about upcoming CARE events happening in your community and become part of a global movement standing up for the rights of women, children and poor families around the world. Click here to visit CARE’s donation page! 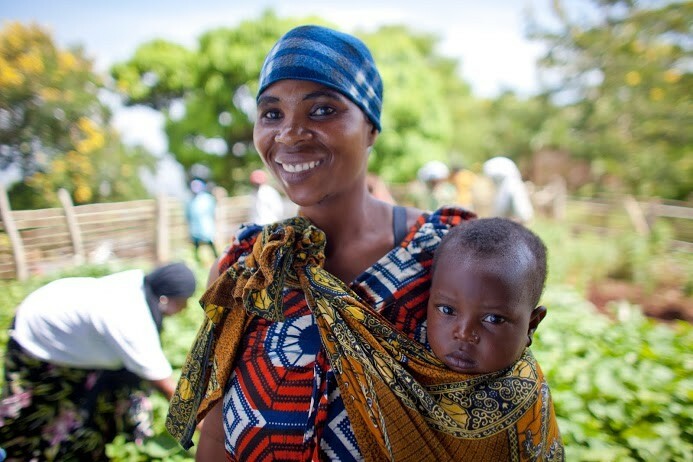 Photo: A farmer, holding her infant in a sling, stand proudly in a field where they and members of Africare developed new, sustainable farming practices for the people of the community. The 2013 CARE Learning Tour to Tanzania visited these project sites and highlighted the positive reach and scope of U.S. investments, with a particular focus on food and nutrition security.